Composite cables are more specialised and are manufactured to customer specification. If you require any type of composite cabling, then please contact us for an immediate quote and further specifications if necessary. 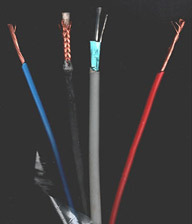 Below is a picture of a custom built composite cable that was produced for an existing customer.